Good Morning!! It's "Do A Grouch A Favor Day!!" Yes you heard me right!! It's "Do A Grouch A Favor Day!!" Do you know a grouch?? 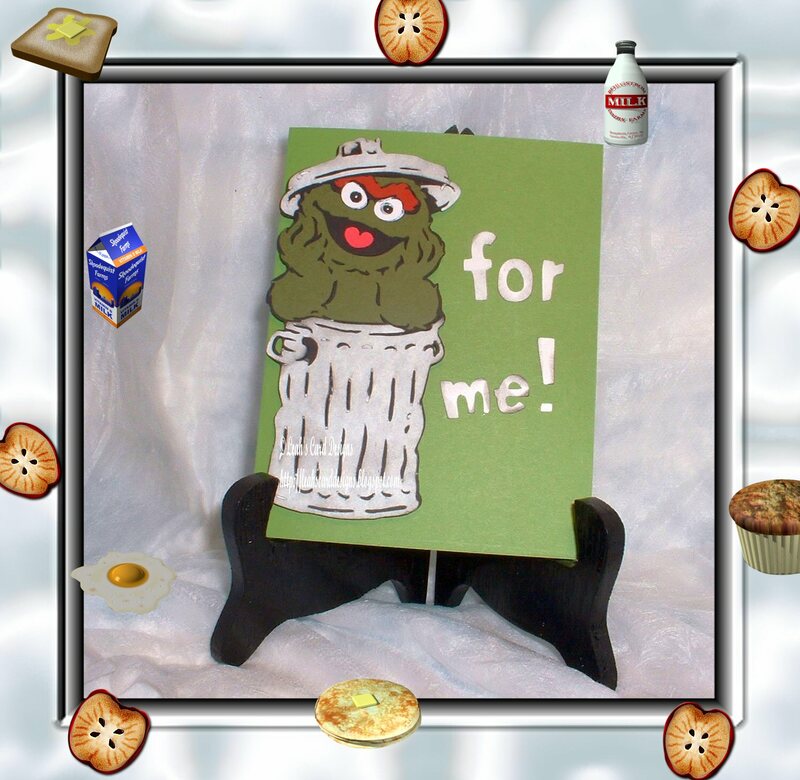 Are you the grouch??? Do a grouch a favor today...Do it and make the world a better place. Everyone has been a grouch at one time or another. Some people are seemingly grouches all of the time. It's just in their nature. Others are occasional grouches; influenced by things in their lives; lack of sleep, weather, etc. A few people are good at disguising their grouchy mood. These people still need cheering up. Look around today to find a grouch that needs cheering up. Do something nice for them. Help them with something; ask if you can bring them something; ask if you can fix something for them; ask if you can do something for them. Maybe they can't do it and their grouchy. A good thing to do is just listen ~ sometimes just being a good listener is just what a person needs to put them on the fast track to a better mood. Sometimes someone might be grouchy just because they cannot vent about what is bothering them. Maybe you could be that tool for them to let them just vent and listen. You could give them feedback or just say "Do you feel better now that you were able to talk that through?" You know this can go a long way. You may have just done this grouch a favor and gave them the best gift of a better day!! There are plenty of grouches to practice on. Let's get out there and make a grouches day!!!! Watch the results! I think you'll be amazed what can happen. Leave a little love here and tell me how you helped a grouch today!! Thanks for stopping by ~ Have a wonderful day! Oscar from Sesame Street Friends Cricut Cartridge cut at 4.5"
"For me!" from Cricut Lite: Cupcake Cartridge cut at 1"
Card base is 8.5 x 11" cardstock folded in half. I then pop dotted Oscar to make him pop up on the card. I then zigged the letters down. On the inside says "Yes, just for you...." I couldn't resist. I did have a grouch this morning. My little one was a bit more tired today than the other day. He didn't want to wake for school. I had to do my grouch a favor. He was coughing and said "I don't think I can make it through the day." I said ok, let's see if I can help. I left him to get dressed I went to get him a drink. He took the drink and said he was feeling still like he couldn't make it. I said how about you try and you can get me with a snowball outside when we're waiting for the bus. If you miss I get to tickle you. He says, "Deal!" You bet we were on. He had fun this morning and he was smiling by the time the bus came and he was off to school. I helped my little grouch this morning. I can say that my little grouch has helped me too. I have been swamped with things and I'll get overwhelmed. I feel like I won't be able to accomplish all that I have set out for myself. My little grouch comes up to me, "Mama, I can help you." At first I"m not sure if I want to let him ~ will he do what I need or will he play. I let him and you know it's just the perfect help that I need. I am smiling by the time things are done and the "grouchy mood" is gone!!!! I love my son. Remember, make a grouch have a better day today!!! so cute, love that stinky guy!